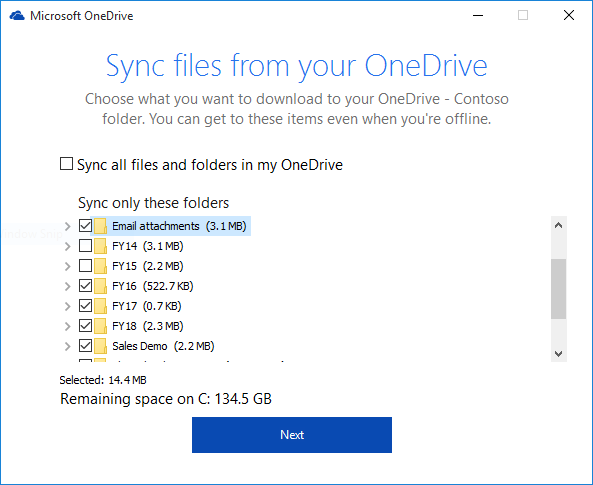 Today we’re releasing a preview of our new OneDrive for Business sync client for organizations and we wanted to share what this means for users and IT administrators alike. Based on your feedback, we’ve focused our innovation in three key areas: improving sync reliability, enriching the user experience and delivering greater IT control. In this 2-minute demo, Jason Moore from the OneDrive engineering team highlights the new OneDrive for Business file sync client Windows and Mac OSX – from controls for selective folder sync to setup and IT management options. In this short demo, Reuben Krippner from the OneDrive team demonstrates updates to OneDrive for Business – from the new sync client to new for experiences in the browser and on mobile phones.